Tucked away in a corner along the eastern border of France, Alsace is often passed over by wine lovers. I admit to being guilty of this myself. I cannot remember when I last featured the wines from this region. It holds a place dear in my heart, and not just because of the lovely wines, for it was here that I spent my honeymoon.Mind you, it was bitterly cold in early March so romantic walks among the vines were not really an option. I have been back several times since though. This is a beautiful region with great walks and delicious food too. I would highly recommend a visit, preferably avoiding the summer months when picturesque towns such as Riquewihr are jammed with tourists. Alsace offers a range of great wines including a few light red wines and some very good rosés, both made from pinot noir. But the region is best known for its fantastic dry white wines. These deserve to be better known by the Irish wine drinker. At first glance the wine nomenclature seems very clear. Alsace is the one region of France that has always allowed varietal labelling. A wide variety of grape varieties are permitted, but you are most likely to come across riesling, gewürztraminer, pinot gris, pinot blanc and muscat for white wines, and pinot noir for red and rosé. The majority of wines are crisp, clean, fruity and dry, exactly the kind we like to drink. Alsace also makes some great sweet wines. The term “vendange tardive” on a label means that the grapes were harvested late and the wine is likely to be medium dry.The classification Sélection des Grains Nobles (SGN) indicates a wine made from grapes affected by noble rot, as with a Beerenauslese in Germany. This is likely to be sweet, although with both of the above wines it depends on the grape variety and producer. Again this seems fairly clear. The problem with Alsace for wine drinkers is that in recent years, some wine producers have started to make off-dry wines. This is partly a result of rising temperatures and lower yields. But very few give any indication on the label, making it difficult for the consumer to know what kind of wine they are buying. A few grams of residual sugar is not a problem, but I have bought a number of sweet flabby wines that lacked acidity.This trend seems to be reversing a little, but when buying a bottle it is best to stick to well-known names or ask the shop assistant for advice. As in Germany, riesling is held in the highest esteem. The very best are brilliant, compelling wines, powerful and complex with a taut steely acidity.Lower down the scale, you get lovely fresh apple and citrus fruits. Gewürztraminer seems to have fallen out of fashion a little, but when made well, the wines can be a great match for Indian and other Asian dishes, as can pinot gris, which tends to made in an off-dry style in Alsace.The surprise of my tasting were two pinot blancs, one each from Hugel and Trimbach. Both were light (12-12.5 per cent) elegant wines with plump juicy fruits and a pleasure to drink as an aperitif. 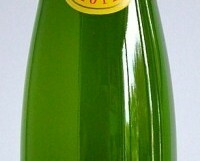 Alsace also produces large quantities of sparkling crémant d’Alsace, some of it very good. The best vineyards in Alsace are designated grand cru. There are some 50 of these. Generally these are made from a single variety (although some producers are allowed to blend several) and it will appear on the label. The two big names are Trimbach and Hugel. Both are good. I am particularly fond of Trimbach. Two co-operatives, the Cave de Turckheim and the Cave de Hunawihr, widely available through independents, produce a solid range of wines. Look out too for anything from Josmeyer, Zind-Humbrecht, Weinbach, René Muré, Sipp Mack, Meyer-Fonné and Kientzler. A lifted floral nose followed by lovely crisp lip-smacking green apple fruits, and a bone dry finish. Stockists: widely available in independent wine shops. Enticing fresh quince and honey fruits with a lovely lingering finish. Riesling at its imperious best. Complex intense honeyed fruit with a steely backbone. Stockists: Mitchell & Son, chq, Sandycove & Avoca Kilmacanogue.